Barchi defends new budget among faculty protests | Rutgers One is a coalition of students, staff, faculty and alumni united to defend quality public higher education. Photo by Tian Li | Rutgers President Robert L. Barchi responded to faculty’s complaints about compensation and contract bargaining policies at Friday’s senate meeting, held at the College Avenue Student Center. In the Q&A period, David Hughes, a professor in the Department of Anthropology, said Barchi’s claim that faculty are the “heart and soul” of the University was not reflected in their salaries. He said the median salary for full professors is in the 91st percentile, while salaries for associate professors are in the 94th percentile. Salaries for assistant professors were in the mid-range, 50th to 60th percentile. In response to a question about retaining faculty and raising salaries, Barchi said he was trying to be responsive. But he could not guarantee anything. “Every time you ask me to do something, I have to not do something else,” he said. During the protest, Hughes said the funding for professors’ salaries should come from the University’s spending on athletics. Hughes also challenged Rutgers’ spending on athletics, which he said also endangers students’ brain health. He pointed to football head coach Kyle Flood’s recent contract extension as an example of overspending. Meanwhile, Rutgers cut the library budget for new books and databases. Lucye Millerand, president of the Union of Rutgers Administrators, said many union members are taking home less than they did in 2008 when they factor in health care and pension costs. They have had a salary freeze for the past two years. Rutgers has more than 15,000 staff members, including dining hall workers, library staff and the staff of academic departments, according to Rutgers official website. The $1 billion Rutgers holds in reserve is the result of pay cuts to staff members, she said. “That money was stolen from our pockets,” she said. Stephen Moorman, associate professor at Robert Wood Johnson Medical School, is frustrated that Rutgers continues to refer to him and other faculty as “legacy [University of Medicine and Dentistry of New Jersey]” staff members rather than full Rutgers professors. The faculty at RBHS is negotiating separately for their contract with Rutgers. 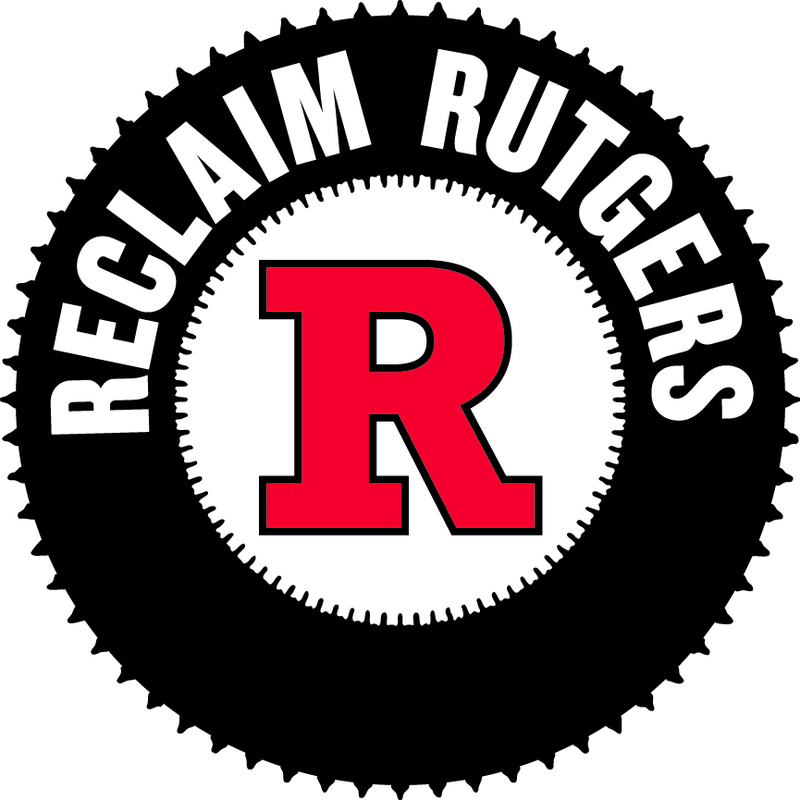 They are fighting over the compensation system, which Rutgers says should be based on productivity. But Rutgers defines productivity in terms of numbers – the number of published works, the number of classes they teach or the amount they bring in for the clinic, he said. The definition does not include the work they do outside of the office to prepare, or the value they bring teaching students in the clinic. “The administration wants to computerize everything,” he said. This entry was posted in Fair Contract, Reclaim Rutgers. Bookmark the permalink.